Scars can be an annoying blemish to live with. There are many different kind of scars that can originate from a number of different conditions (e.g. acne scars, surgery scars and so on). Depending on the type of scar to be dealt with, a variety of treatment options can be chosen. Laser scar treatment is a non-invasive, advanced approach to scar treatment that offers excellent results without the discomfort and downtime of surgery. 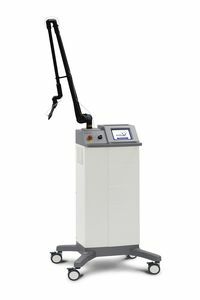 The ablative lasers are the “gold standard” of lasers for dermatological treatments. They ablate the skin with a degree of precision that can be measured in microns. This makes it possible to safely and gently remove a wide variety of lesions from the skin at epidermis and dermis level, including scars. Due to their ease of absorption in water, both the Erbium:YAG (2,940 nm) and the CO2 (10,600 nm) wavelengths are highly suitable for this purpose. 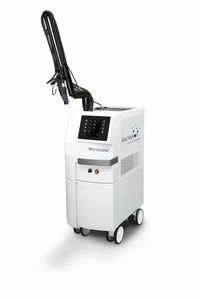 The MicroSpot technology from Asclepion offers the possibility to carry out fractional treatments as well. This special technology allows the treatment of only “fractions” of the skin in the form of a grid. This is made possible by splitting the laser beam into several hundred partial rays, which are barely visible to the naked eye. It triggers skin renewal and collagen formation, without harming the surrounding tissue. In just a few quick, easy treatment sessions, scars are much less visible, leaving behind smoother, more attractive skin. Another very common blemish that can be successfully treated with the laser therapy are the striae distensae, also known as stretch marks. These blemishes are characterized by linear bands of atrophic or wrinkled skin that result from excessive dermal stretching, such as after rapid weight loss/gain, pubertal growth or pregnancy. In their early stages, they are present as a dermal inflammation with dilated capillaries, which results in an erythematous appearance. In the terminal phase, striae appear hypopigmented and fibrotic owing to the linear deposition of dermal bundles and the thinning of the overlying epidermis. The result of laser scar treatment is a flattening of the edges of the scar, a visible improvement in the skin texture and in the color of the scar, which becomes lighter.